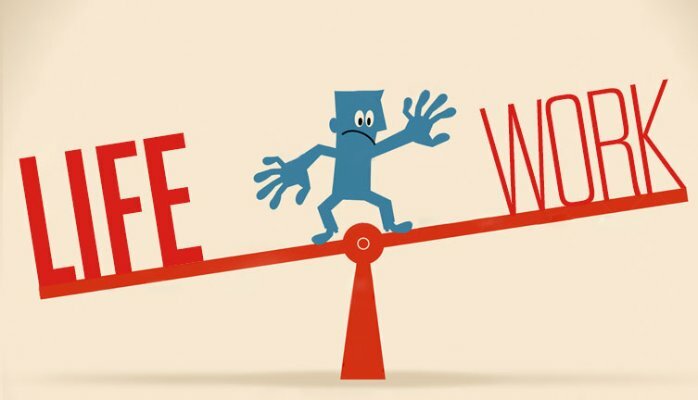 Have you already defined your work-life balance? Work life balance is the most misunderstood concept of the corporate environment. Employees think it is the responsibility of the organization they work for to manage an individuals’ work life balance. However the only person responsible to manage your work life balance is you. With increasing technology and competition there is more and more need for availability of employees 24/7(round the clock). If you compare the present with a point in time 15 years ago you will realise there was not much focus on work life balance. This is because there was no need to talk about it. Therefore it becomes absolutely important for individuals to focus on their work life balance nowadays. I would not say that organizations have no contribution towards work life balance but I would say that the major chunk of responsibility to balance work and life lies with the individual. Think from an organization’s perspective. An employee works round the clock and has no issues with it. Why would an organization mind that? An organization’s contribution in this respect should be to at least ensure that no single employee has a work load that they cannot manage in the routine 8 hour work day and not deliberately pushing an over load of work on anyone unless of course an exception. The first step forward is to define your own work life balance. Work life balance is like your choice for clothes. Only you can tell what you like wearing or not. Similar is the case with work life balance. It is different for everyone. Some may like being a workaholic and spending less time with family. Whereas others may not appreciate working from home and decide that they will set out for home once done with the work. Work life balance for married men and women would be different and bachelors would be different. So a lot of factors contribute towards an individuals’ preference of work-life balance. It is very easy to stand up and comment that my work-life is not balanced but if you start to think about what is the right balance, you would realise that it is not as simple as one might think it to be. In order to define your work life balance first one should lay down their definition of a well- balanced day. And then compare it with the life he has had to date as to how many times he has had the opportunity to live that ‘ideally’ defined day. Frankly speaking, answers would range between 0%-5%. That is because our defined balance for work and life is an ideal one and not a realistic one. It is all about the right mind set. If you walk into the office thinking that I have a lot of work today and I will have to sit late then trust me you will sit late. But if your thought process at the start of the day is that I need to wind up and leave on time today you will be done in time. If you know you will be sitting late anyways an individual tends to waste time. For example: You might just take a 30 minute lunch break thinking that ‘I will be sitting late anyways so I will catch up’. But for someone who has set a target to leave on time might not waste an additional minute on the table once he/she is done with lunch. If you don’t believe me try doing it for one day and you will realise it yourself. A significant responsibility to encourage work-life balance lies with the manager as well. If your manager is a workaholic he/she might have trouble understanding your wish to achieve a balance between work and life. In that case there is no need to be disheartened. There can be two ways here onwards. Either you can start pushing your manager for work-life balance or you can mind your own business and focus on your work and manage it on time. However, with a conventional manager another problem would surface. When they see an individual managing time well they tend to think he/she does not have much work. So one would not want to be categorized as that, especially when the work load he/she has is equivalent to that of the rest. So here again it is the company’s responsibility to get work life balance instilled from top to bottom in the hierarchy. Each manager should be checking up his/her direct reports to talk about work-life balance. For some, awareness of managing your work on time does the trick and for some understanding the concept would be a challenge. Because conventionally there has been a concept that the most hard working is the one sitting late at work. But the concept has evolved over time and a smart worker is the ideal employee. Self-realization of the fact that we are the one’s responsible for our own work life balance should be the starting point. Everyone will treat you as you treat yourself. So unless you lookout for your betterment no one else will. Often individuals try to copy the idea of an ideal balance from others. A mistake you should avoid doing. Every individual has a different set of aspirations, background and many other influencing factors. Only you can decide on the right balance of work and life for you.